The international community’s attention in the Arctic is directed to energy resources and legal disputes, excluding a key factor of these issues: the human dimension of the region. In the Arctic Circle, the area in which the average temperature of the warmest month (July) does not exceed 10 degrees Celsius, live about 4 million people. They are all represented in the Arctic Council, where they sit as permanent members, from 6 associations. Indigenous people are the most vulnerable to climate change than anyone else in the world. They inhabit regions of the Earth where the impact of climate change is greater and, most important, they depend on the environment around them for their livelihood and their culture. To simplify the discussion, I will refer to three main groups: the Evenki and Nenets in Russia, the Sami in Scandinavia and the Inuit (that many people mistakenly call Eskimos) in North America. 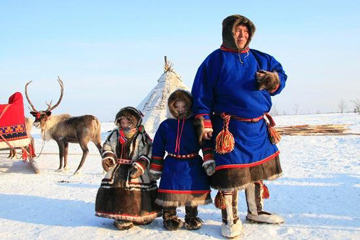 The Evenk are also known as the Tungus and they live in small groups scattered in Siberia and North China. The Evenk are known in the literature for their great sense of direction: according to some travelers, they first drawn maps of Siberia on birch bark. Despite the Tsarist and the Soviet politics tried to make them a settled down group, the Evenk still live hunting or breeding reindeers. The predominant feature of this group is the conception of space according to the hydrographic networks. The rivers are symbolic communication routes that unite and connect not only people but also worlds and spirits. The Evenk are aware of the fragility of the environment that surrounds them and this is why the hunting and fishing are held throughout the year in order to give the prey a chance to reproduce. These people are the best guardians of nature because nature is part of their daily lives. The same can be said of their cousins Sami and Inuit. The Sami are improperly called Lapps, but the Lapps are the inhabitants of Lapland, Finland. While the Sami are the inhabitants of Fennoscandia, i.e. the region which includes Finland, Sweden, Norway, the Kola Peninsula and Karelia in Russia. The Sami are the oldest population of northern Europe and they have a collective memory that goes back to ancient times and that is transmitted orally from generation to generation. The Inuit are a population derived from the branch of the Mongolian race that inhabits mainly North America and Greenland. For many centuries, the Inuit have lived in almost total isolation. Only after the arrival of the whaling fleets, in the last century, they had social relations with Europeans. The indigenous population today is more protected than past decades: in 1962 they did not even have the right to vote while today they sit in the Canadian Parliament, both in the House and the Senate. The problem of self-government is perhaps the most perceived among these populations that stems from the awareness of being a diverse community, with a history and a different culture. Among the many international instruments that protect these populations, we must mention the Charter of the United Nations of 2007, the two International Covenants on Civil and Political Rights (ICCPR) and two UN resolutions (respectively 1960 and 1970). These instruments are related to territories and not to populations, giving significance to the countries affected by colonization far away from the motherland, on the basis of the “salt water” principle: european countries have not perceived the phenomenon of decolonization as disruptive because it concerned distant countries, often beyond the ocean, while the indigenous of the Arctic are located within national borders and they hardly participate in the economic and political life of their country. Their protection is gone, however, reinforcing through the “Indigenous and Tribal Peoples Convention, of the International Labour Organization (ILO) and the “United Nations Declaration on the Rights of Indigenous Peoples” of 2007. The ILO Convention recognizes many rights of the indigenous people but, unfortunately, it has been ratified by only 22 States, and between the Arctic States, only by Norway and Denmark (the latter has ratified the Convention because of the Greenland’s question). The UN Convention has seen the dissenting vote of America and Canada and the abstention of Russian Federation. The Scandinavian countries have also made reservations to several articles, weakening the scope of the Convention. However the application of these tools is often slow and enforcement mechanisms are weak compared to the national authorities. The demand for greater autonomy must be analyzed in the light of new discoveries in energy resources (gas, oil and minerals): the processes of devolution are based on the creation of more job, on the families’ incomes and on the taxation derived from the extraction activities. The situation is paradoxical: some indigenous communities are favourable to intensive and extensive exploitation of resources, at the same time, however, the exploitation makes their survival and adaptation precarious. One element is common to all the Arctic States: the competence outside the territorial waters (i.e. on the continental shelf) rests solely with the national States. This is mainly due to an economic question: the exploitation requires large investments and the private sector needs a clear and reliable interlocutor. In a landscape so irregular we must emphasize the experience of Inuvialut of Canada, to which the central government has recognized the ownership of an area of 5,000 km², where there are deposits of oil and gas. The Inuvialut have developed a kind of unique model to negotiate with private companies and sign contracts. This model defines the timing of mining concessions and the amount of royalties that companies must pay to the community. The Arctic, however, is not just oil and gas but also fisheries. The protection of marine species is a fundamental condition for the survival of indigenous peoples. With global warming and the retreat of the ice, marine species undergo modification processes, migrate to colder waters and, with regard to the human impact, the activity of commercial navigation increases, as well as the depletion of fish stocks and some activities unknown before, such as extreme tourism and arctic cruises. It is apparent, therefore, the need to put the maximum quotas of fishing on species, but also protect those species that are not the direct object of fishing activities in order to maintain the balance between prey and predator. The main instrument that regulates the Law of the Sea is the UN Convention of Montegobay, but we also have another tool less known: the Ilulissat Declaration, signed in Greenland by only 5 Arctic countries (Canada, USA, Denmark, Norway and Russia). It touches issues such as navigation and pollution but does not touch fishery (domestic as well as cross-border). This is the first great gap, followed by the opposition to an international treaty of the Arctic and the lack of any reference to the Convention of Montegobay, only to the common law of the sea. This could be explained in the light of the fact that, among the signatory countries, there are the United States, which never ratified the Convention of Montegobay. Among the fishing rights there is also the right of whaling. Here the natives seem protected thanks to the International “Convention for the regulation of whaling” of 1946, which recognizes the right of indigenous peoples to maintain a traditional lifestyle, including the hunting of whales. But even here there is a problem: according to the Convention, Member States are required to prove the existence of traditional indigenous whaling. Because of this the indigenous people, to be protected, must have first a recognition of the State to which they belong, and then they could have the prospect of international protection. The natives are well aware that the political independence passes for economic independence: until they are linked to state subsidies, their aspirations will remain only on paper. The UN Declaration recognizes, at the article n.3, the right of indigenous peoples to determine their political status. The scope of this article is weakened by the next one, article n.4, which recognizes exclusively internal self-government and not the external one, because this would undermine the territorial borders of several countries. So far, the aspirations of the people native may only be granted in half. This aspect in not completely negative because they are not ready for a complete independence. Probably the internal self-government could be a good starting point for the sustainable development of the Arctic regions. *Speech at the Conference Minorities at the Time of the Clash of Civilizations. 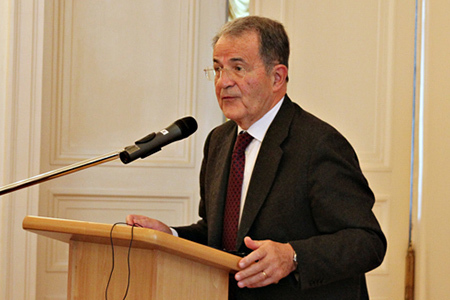 Models of Multiculturalism and Dialogue, organized by the Institute of Advanced Studies in Geopolitics and Auxiliary Sciences (IsAG, http://www.istituto-geopolitica.eu/), under the patronage of the World Public Forum “Dialogue of Civilizations”, the Italian Presidency of the Council of Ministers and the Italian National Research Council (CNR). 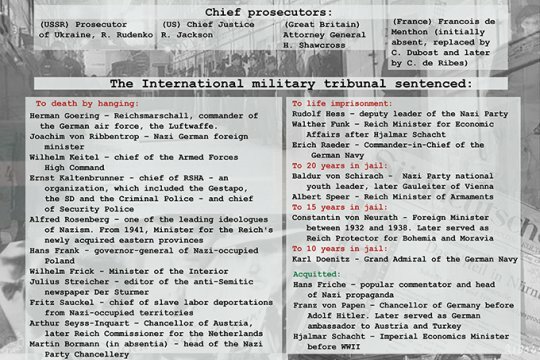 Who Are the Real Pirates in Somalia? 534: 30 seconds to mars. The rights of indigenous peoples in the Arctic *9 July 2014: The rights of indigenous peoples in the Arctic *! лучшие комедии. The rights of indigenous peoples in the Arctic *.